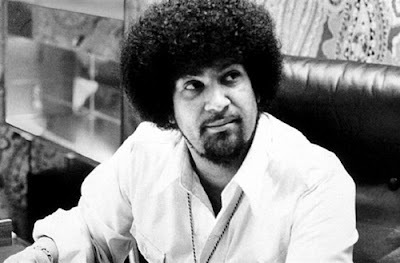 Norman Jesse Whitfield (May 12, 1940 – September 16, 2008) was an American songwriter and producer, best known for his work with Berry Gordy's Motown label during the 1960s. He is credited as being one of the creators of the Motown Sound, as well as one of the major instrumental figures in the late-60s sub-genre of psychedelic soul. Of the hit singles Whitfield produced in his 25-year career included "I Heard It through the Grapevine", "Ain't Too Proud to Beg", "Cloud Nine", "War", "Papa Was a Rolling Stone", "Smiling Faces Sometimes" and "Car Wash". Alongside his Motown lyrical collaborator Barrett Strong, he was inducted to the Songwriter's Hall of Fame in 2004. At 19, Whitfield began hanging around at Motown's Hitsville U.S.A. offices, trying to get a chance at working for the growing label. Gordy recognized Whitfield's persistence and hired him in the quality control department that determined which songs would or would not be released by the label. Whitfield eventually joined Motown's in-house songwriting staff. Whitfield had a few successes including co-composing Marvin Gaye's early hits including "Pride & Joy", The Marvelettes' "Too Many Fish in the Sea" and The Velvelettes' "Needle in a Haystack", but he found his place at Motown when he began producing the recordings of his songs. His big break came when he took over Smokey Robinson's role as the main producer for The Temptations in 1966, after his "Ain't Too Proud to Beg" performed better than Robinson's "Get Ready" on the pop charts. From 1966 until 1974, Whitfield produced virtually all of the material for The Temptations, experimenting with sound effects and other production techniques on the earliest of his records for them. He found a songwriting collaborator in lyricist Barrett Strong, the performer on Motown's first hit record, "Money (That's What I Want)", and wrote material for the Tempts and for other Motown artists such as Marvin Gaye and Gladys Knight & the Pips, both of whom recorded Whitfield-produced hit versions of the Whitfield/Strong composition "I Heard It Through the Grapevine." The Gladys Knight & the Pips version was the best-selling Motown single ever to that point, but it was replaced a year later by Marvin Gaye's version. After Temptations lead singer David Ruffin was replaced with Dennis Edwards in 1968, Whitfield moved the group into a harder, darker sound that featured a blend of psychedelic rock and funk heavily inspired by the work of Sly & the Family Stone and Funkadelic, and also began changing the subject matter of the songs, moving away from the trademark poetic romance to the social issues of the time, such as war, poverty, politics, etc. The first Temptations single to feature this new "psychedelic soul" style was "Cloud Nine" in late 1968, which earned Motown its first Grammy award (for Best Rhythm & Blues Performance by a Duo or Group). A second Best R&B Group Performance Grammy for Whitfield and the Tempts came in 1973 with "Papa Was a Rollin' Stone." The instrumental B-side to "Papa Was a Rollin' Stone" earned Whitfield a Grammy with arranger Paul Riser for Best R&B Instrumental Performance, and Whitfield and Barrett Strong shared the songwriters' award for Best R&B Song. In 1973, Whitfield left Motown to form his own record label, Whitfield Records. In the beginning, his only act was The Undisputed Truth, which he had convinced to leave Motown. They never really had much more chart success, but Whitfield had a smash hit in 1976 with Rose Royce's "Car Wash", issued on MCA Records. Rose Royce (whose members were originally Starr's backing band while at Motown) went on to produce three more popular albums, but never could top the success of "Car Wash," which served as the theme song to the 1976 motion picture Car Wash. The Car Wash soundtrack won Whitfield a 1977 Grammy Award for Best Score Soundtrack Album. In the early 1980s, Whitfield began working producing for Motown again, helming The Temptations' 1983 hit single "Sail Away" and the soundtrack to The Last Dragon. On January 18, 2005, Whitfield pleaded guilty for failing to report royalty income he earned from 1995 to 1999 to the Internal Revenue Service. Facing charges of tax evasion on over $2 million worth of income, he was sentenced to six months of house arrest and a $25,000 fine. The producer was not imprisoned because of health problems such as diabetes. During his last months alive, Whitfield stayed bedded at Los Angeles' Cedars-Sinai Medical Center where he underwent treatment for his bout with diabetes and other ailments. Within a few weeks before his death, Whitfield fell into a coma, which he eventually recovered from. According to The Undisputed Truth leader Joe Harris, Whitfield died on September 16, 2008 at approximately 3:30 pm. She's Gone Too Far This Time!